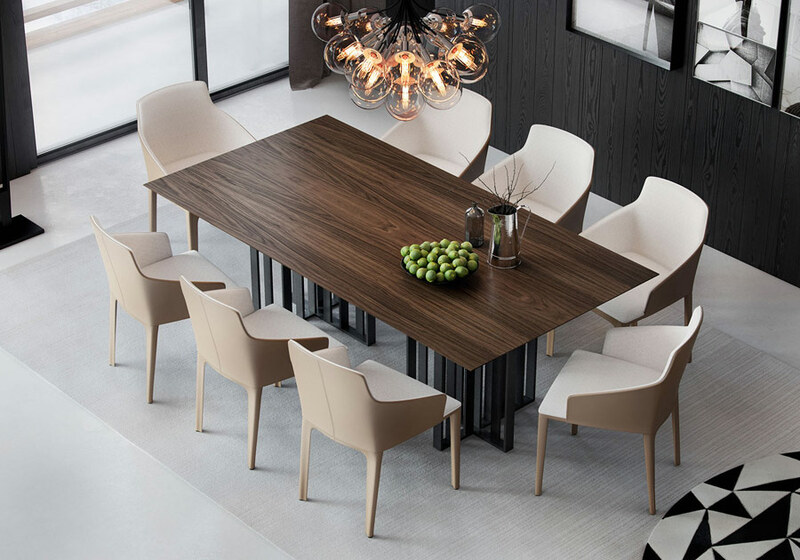 Pulling inspiration from London's Old Spitafields Market, this sleek dining table is a blend of Old World and new. 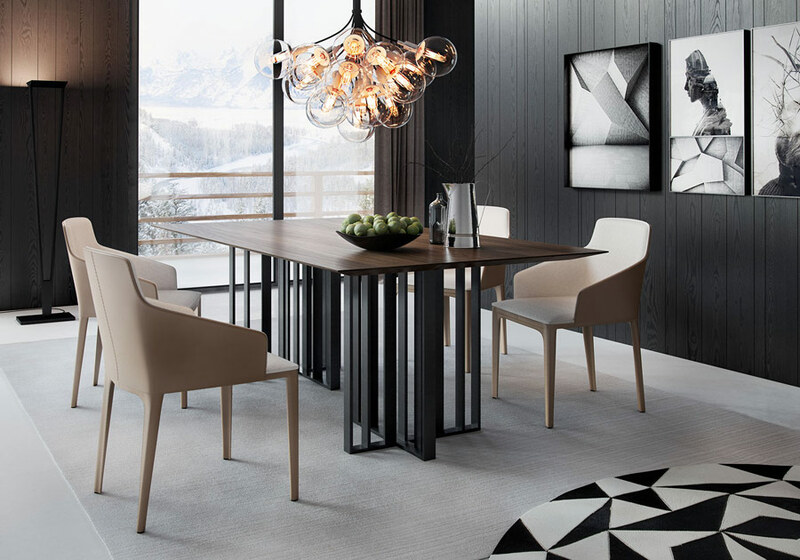 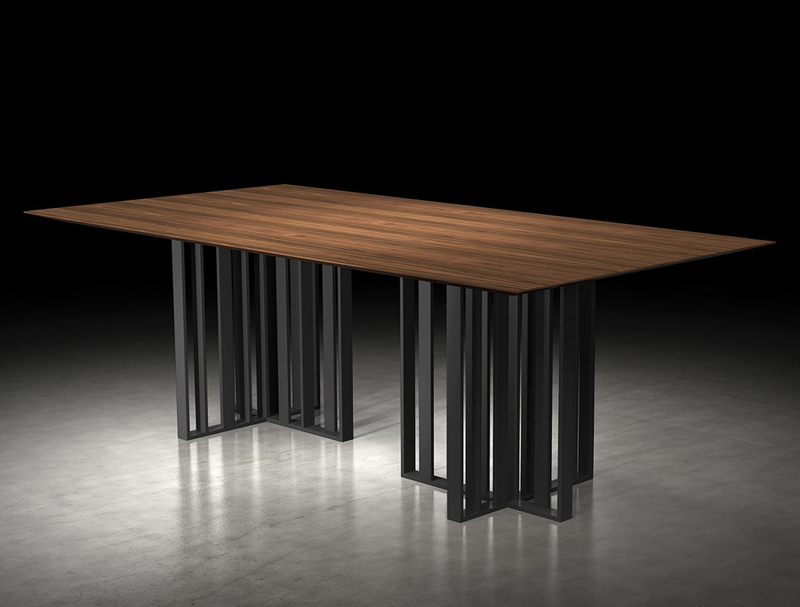 Modern manufacturing enables the Spitafields Dining Table to offer a sleek, thin tabletop finished in classic Walnut veneer. 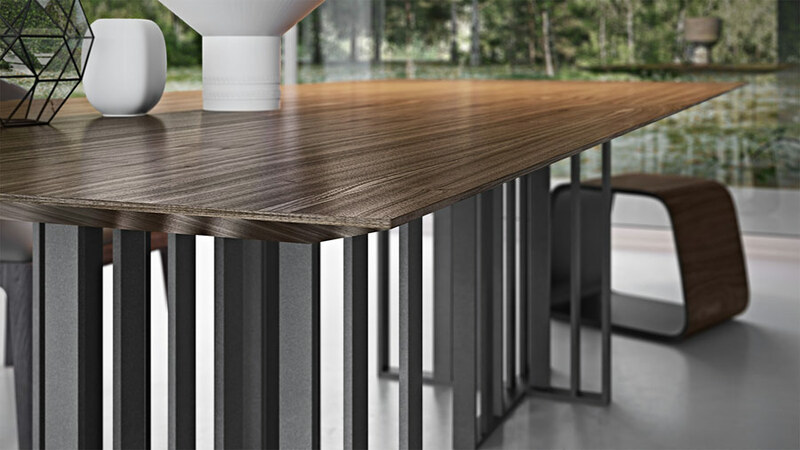 The pedestal base beneath is crafted from sturdy and strong aluminum and powdercoated in a cool titanium on the Square variation, or graphite on the rectangular options. 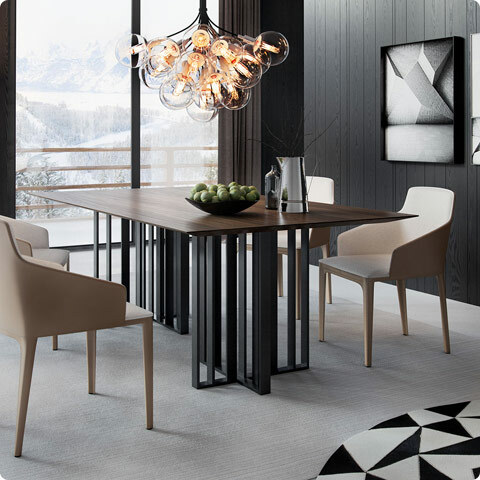 Spitafield's pedestal bases give you the look and functionality you love, while still allowing your space to feel open and "airy." 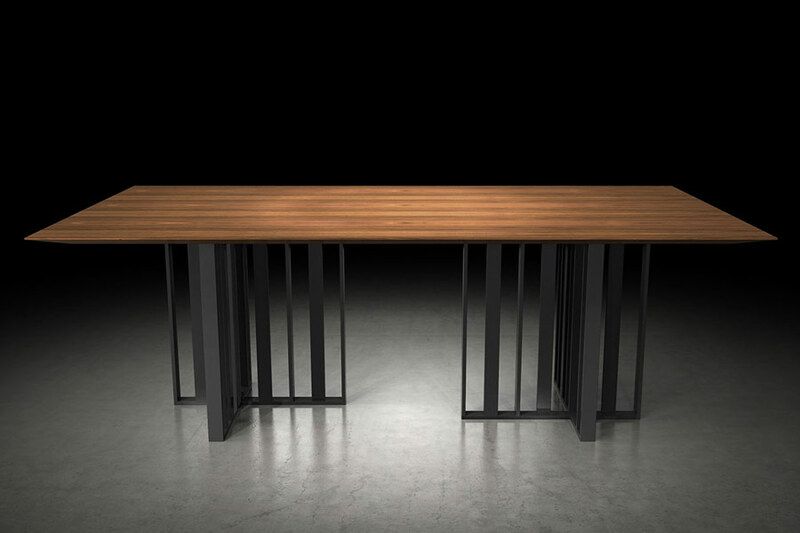 The cleverly crafted design features architectural slats, giving the tabletop modern, light and stylish support!